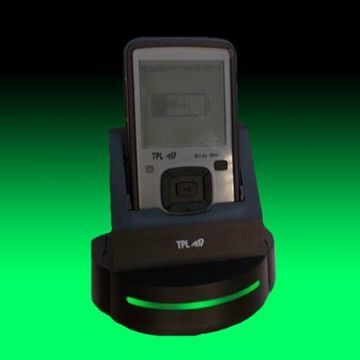 The TPL Birdy Slim Desktop Charger is included with every Birdy Slim pager for recharging its 3.7VDC Lithium-Ion battery. 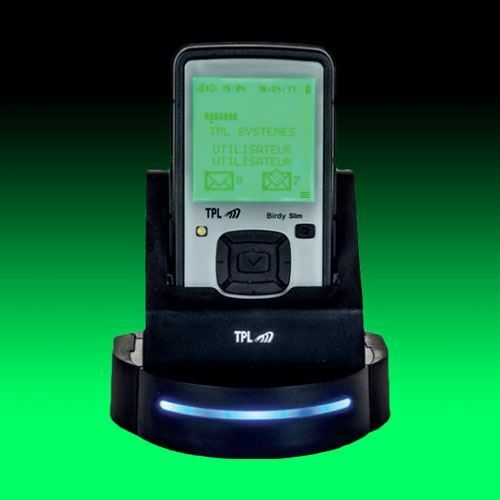 When the Desktop Charger is powered on, a Blue LED strip light is illuminated on the front face of its base. Two connectors are located at the rear of the charger. One connector is used to power the charger via a micro USB - USB cable. The other is an RJ45 connector that can be used to control a contact relay for external output like a siren alert. 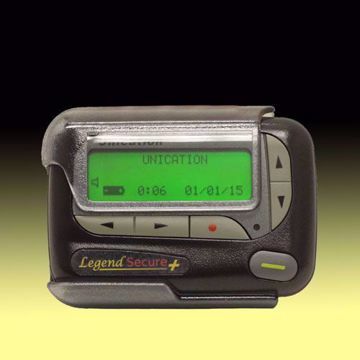 While in the charging cradle, a large flashing battery image is displayed on the Birdy Slim pager giving a visual indication that the battery is charging. 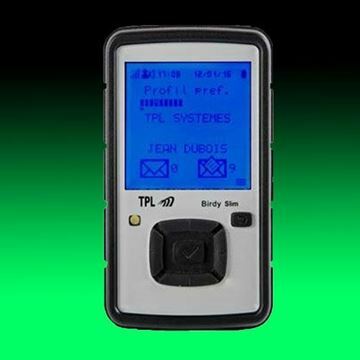 The TPL Birdy Slim Programmer consists of a combination programmer and charger cradle, a micro-USB to USB programming cable, and Birdy programming software. 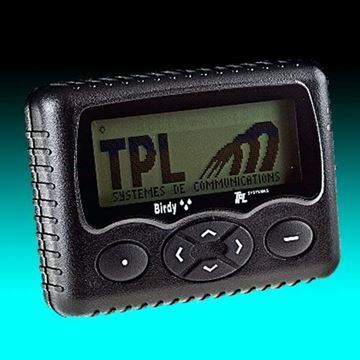 The programmer and charger cradle is very similar in appearance to the Birdy Slim Charger cradle.